Make Your Granny Proud: Turn Down the Heat and Put On Your Sweater! Editors note: There are two photos and one video associated with this press release. In an exciting campaign launched today, WWF has recruited a team of grannies, grandmas, abuelas, nonnas, nainais and bubbies to help promote energy conservation campaign National Sweater Day, presented by Loblaw Companies Limited (Loblaw), on Thursday, February 9. This dedicated team will encourage Canadians to turn down their thermostats and put on a sweater to show their support for saving energy. In an online video, Spokesgranny Gladys and her team implore the younger generation to catch the conservation spirit and turn down their thermostat. "Members of the Greatest Generation are natural energy conservers - grannies don't turn up the heat when it gets chilly, they put on a sweater and a pair of slippers!" said Gladys, National Sweater Day Spokesgranny. "We are going to help our kids and grandkids to learn the lost skill of energy conservation that used to be second nature." Canadians can sign up to receive a personal phone call from one of the grannies as a reminder to turn down the thermostat and put on a sweater on Thursday, February 9. You can choose from a wide variety of grannies from different cultural backgrounds, each of whom has her own particular technique to make sure you get on board with the conservation message. "National Sweater Day is an important reminder that we need to value our energy. It's a chance to think about how we use energy, and how we can all play an important role in fighting climate change by using energy wisely, not wastefully. 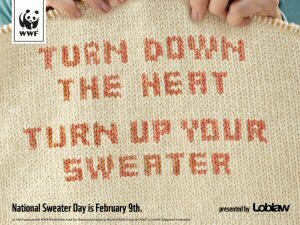 On February 9, turn down the heat and put on a sweater. Make your granny proud!" 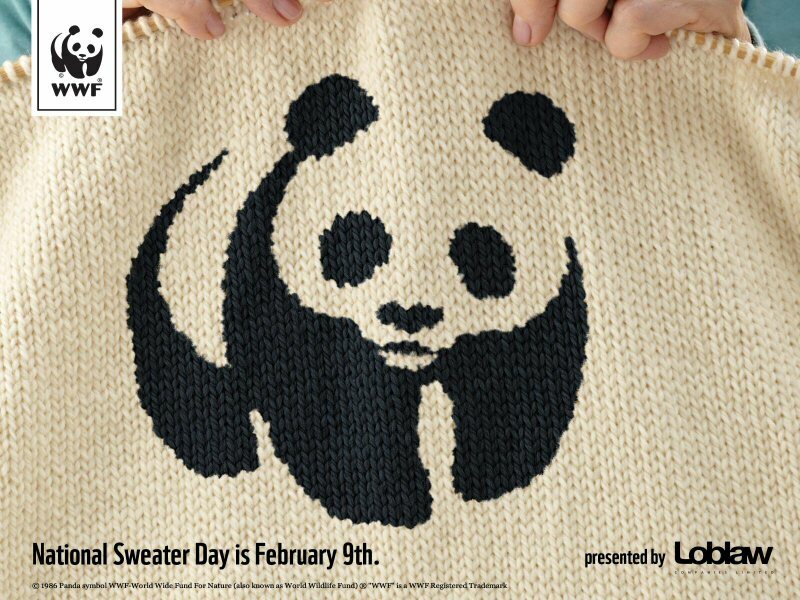 "Loblaw is proud to support WWF's National Sweater Day with partial proceeds from our national charge-for-plastic shopping bag program. We see it as an important reminder that we can all reduce waste in our everyday lives by taking steps like using less heat and fewer plastic bags." For more information about National Sweater Day and how to get involved, please visit www.sweaterday.ca or www.facebook.com/wwfcanada.